Announcing the Bishop McNamara High School Alert System. The Alert page on the website is updated with information about School Closings, Delays, Early Dismissals or any other school emergencies or important alerts. The ALERTS page will be edited as school alerts happen. When you sign up, you will receive an email and/or a text message immediately directing you to check the website for more details. PagePops will also appear on the website and messages will appear in Student, Parent, and Faculty/Staff MACCESS. Detailed instructions and pictures are provided for easy sign up below. Be sure to follow all steps. 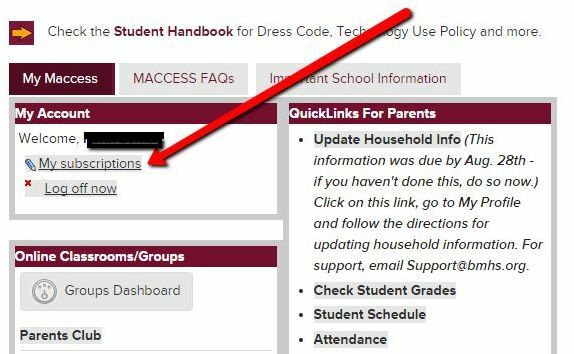 If you are not a MACCESS user (you are not a student, current parent, faculty/staff, coach or alumni), you may still sign up to receive alerts for weather closings/delays or changes on any news pages of the website. For instructions, go to Alerts Sign Up for Public User. 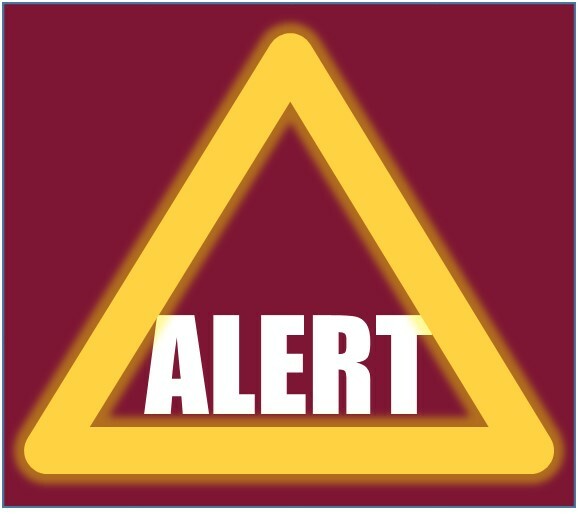 Once you are signed up, Alert messages will go to your emails and your smartphone (if so enabled) with words such as "NEWS ALERT: BMHS School is canceled" or "NEWS ALERT: BMHS Afterschool Activities are canceled. Check www.bmhs.org for more details." In your phone, you may rename this contact as "BMHS ALERTS" if you like. The message arrives from noreply@bishopmcnamara.myenotice.com. Make this a "Safe Sender" in your email box. You may want to check the Weather Closing Policy for additional information. Any problems, contact Support@bmhs.org. Log into Maccess. Once logged in, select My Subscriptions (Under My Account).Note: for Faculty/Staff, select Update Your Profile/Edit Subscriptions. In Edit Subscriptions, make sure email is displayed and set up your text-enabled phone. You will need to go through the quick verification process. Once complete, "Text Enabled" in green will appear next to your phone number. 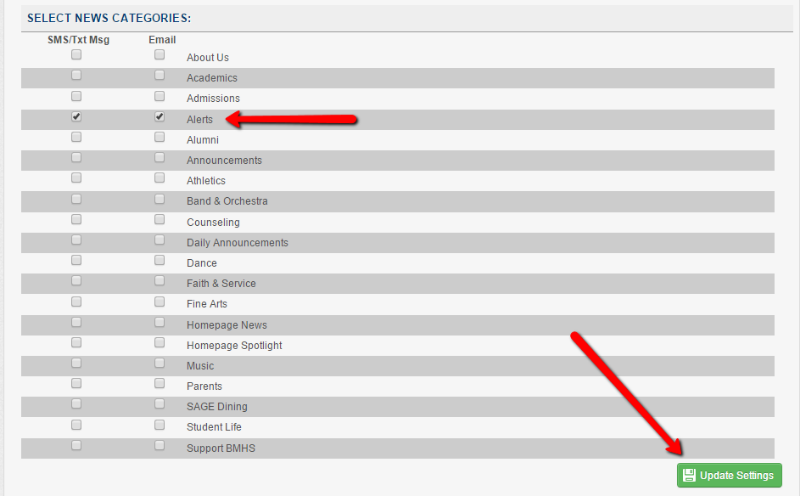 Next, go down and select the Settings wheel under Current Subscriptions. 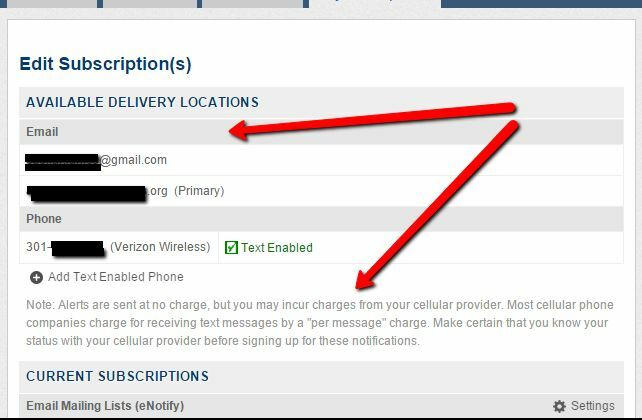 Under Manage Subscriptions, make sure the correct email(s) is/are listed and you have added your text-enabled phone. Check the box(es) under Alerts category in the SMS/Txt Msg and Email columns. You may also select to be notified of updates on any other pages. Be sure to select Update Settings in the lower right to save settings and close this window.